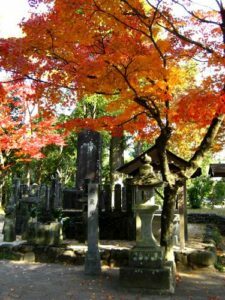 Tokitsu, Kenji. 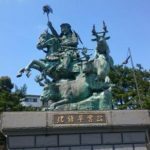 Miyamoto Musashi: His Life and Writings. 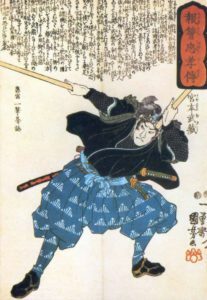 Musashi wielding two weapons, by Utagawa Kuniyoshi. 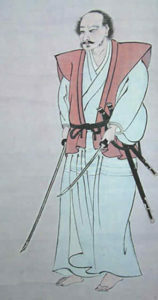 A self-portrait attributed to Musashi. 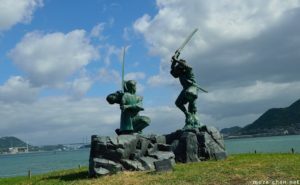 A monument to the Musashi-Sasaki Kojiro duel on Ganryujima. 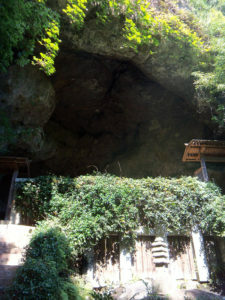 The entrance to Reigando, the cave Musashi retired to at the end of his life. 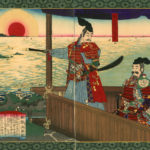 Musashi fighting the whale, by Utagawa Kuniyoshi. 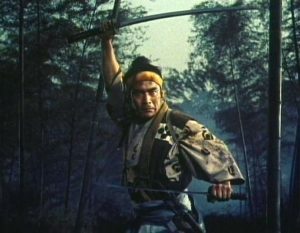 Mifune Toshiro as Miyamoto Musashi in the samurai trilogy. Note the two swords. Ichioji, Kyoto. 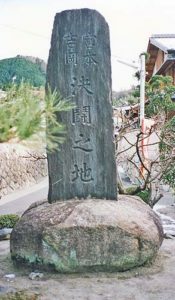 This temple, supposedly where the final battle between Musashi and the Yoshioka school took place, now has a monument to the fight. 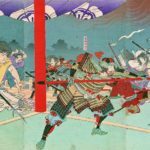 Will you ever do something on Yagyuu Juubei, the inspiration for Ninja Scroll?